Be everywhere and nowhere at the same time. Surveil your fortress from the shadows. Know when your darks cycle is finished, know when your dog jumps on your bed. Turn on your lights before you get home from work. With Ninja Blocks, you can control everything in your house from the temperature of your wine cellar to home security from the web. 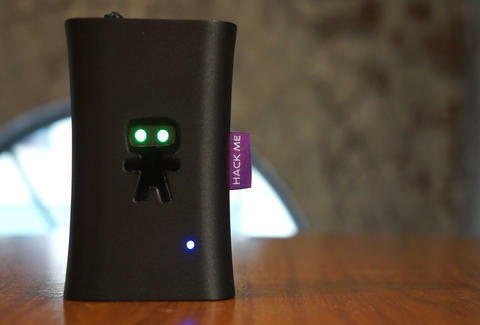 Ninja Blocks is a device that allows you to use the open source Ninja Rules App to monitor almost anything in your house--no programming abilities necessary. 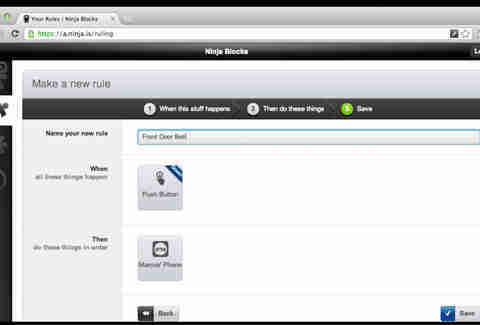 With Ninja Blocks' actuators and sensors, you can systemize your house by creating rules to control various devices. Receive a text when somebody rings your doorbell, or get a notification when a motion sensor is activated--the possibilities are endless. Whether you're a young grasshopper or programming Jedi, Ninja Blocks provides a straightforward method of hacking your home.